So after hours of researching and trying out trials from different VPN providers, I finally decided, heck I’ll just set up a VPN server of my own using Open VPN application. I also see this as a better alternative to just buying a premium VPN account from other resellers as the cost is almost the same or even cheaper. I stumbled upon this VPS hosting which allows hosting of Open VPN application, and the process was really easy. It won’t even take you more than 20 minutes to have your own VPN server up and running. I am now even using this, my own VPN as of this moment. I was never able to achieve that low ping and high download and upload speeds on my recent testings of other free VPNs. I chose Singapore as the location of my server because its the closest to Philippines. I also did not opt for Japan (other server located in SEA) because I do not want Kanji invading my search results and stuff. Well, this will cost you something. You can get a VPS server with 500gb of bandwidth at $2.50/month, or the 1000gb bandwidth at $5.00/month – I think this is cheap already comparing to other VPS providers. Sign up at this VPS provider. After signing up and verifying your e-mail, you can start adding credits to your account. You can pay via Paypal, credit card, or even bitcoin. Choose a server location. I suggest picking somewhere that is near your ISP’s country so you can have lower ping and better speeds. Well, whatever floats you boat. Feel free to choose other countries depending on your needs for whatever purpose you intend to use the VPN. Label it any name you want. It will set a server name as well. Deploy it, and wait for the process to finish. When the server is ready, you’ll get a server url and login credentials. Visit the server url and use the login credentials provided. You will be given a download to the OpenVPN client depending on your OS. Install this and use the same login details on connecting with the Open VPN client. There you go! 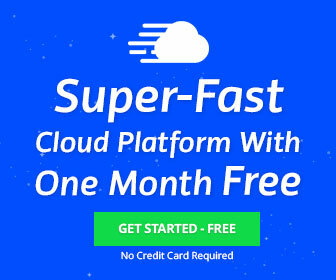 Your very own VPN server, fast and only just yours. Been using the VPN for heavy downloads, no issues. Tested concurrent use with a Windows PC, MBP running macOS, iPhone 6s, and a Windows laptop as well using the given OpenVPN client provided after deployment of the VPN server. Been enjoying this VPN server, downloads are fast. Only issue I have is, the OpenVPN Access license is for just 2 concurrent user. Kind of a bummer because I wanted to share it with the family, but I am in the process of looking for a cheap router that can support OpenVPN. First, you choose a server location. Then the application you intend to use, in our case it is OpenVPN of course. Then the server size and other add-ons. The $5/mo seems to be enough for me. After all, I only need the bandwidth for my intended usage. You dont need to worry about SSH keys and the other stuff. You can even leave naming your server hostname and label, but in my case I just put in my name just for the lulz. Then time to deploy the server. O hi, visitor. I am Ian. Welcome to my blog. The blog that rarely gets updated. Aside from making websites, I do love to take my bike on long day rides. Ian Albert Austria Copyright © 2019.